The Lumineers’ debut record is instantly gratifying—and not in the hasty, shallow way often found in pre-fab pop songs either. While some records take days or months to properly digest, there’s an instant connection here similar to that sonic euphoria many people found upon hearing their first roaring Mumford song, favorite Dylan lyric or perfect Head and The Heart harmony. The camaraderie is evident both onstage and on the record. Neyla Pekarek’s graceful strings, the steady roll of Jeremiah Fraites’ on the drums, and the charming twang of lead singer Wesley Schultz generate a sense of warmth and candor that the recent folk revival has been missing. It’s similar to the way Ryan Adams snuck in through alt-country’s backdoor and cemented himself as a forerunner of his genre at such a young age. 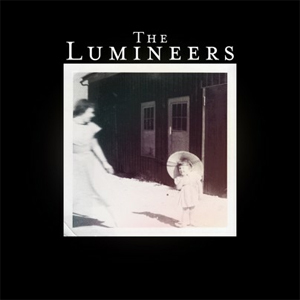 The Lumineers exude the same kind of timeless quality in their approach. The rustic trio marries uplifting jubilee and poetic earnestness with ease. The foot stomping single “Ho Hey” builds momentum with a tambourine and carries the melody with spirited chants and hand claps, a track so cheerful and exhilarating, it seems built for a live stage. They say music and pain have a symbiotic relationship, and maybe that’s why The Lumineers resonate so deeply. Schultz and Fraites formed the band after Fraites’ younger brother and Schultz’s best friend died of a drug overdose at a young age. The pair picked up the pieces, forged a friendship through their mutual loss, and later found Pekarek and the formula for The Lumineers. In a day where new porch-stompin’ Americana acts crop up every day, any smart gamblin’ man or music lover would be sure to bet on The Lumineers as well.